Please join Dominic & David for their wedding on April 24, 2018 at the Iberostar Dominicana Resort in the Dominican Republic! Welcome family and friends of Dominic & David! Dominic and David invite you to join them as they get married in the beautiful Dominican Republic! 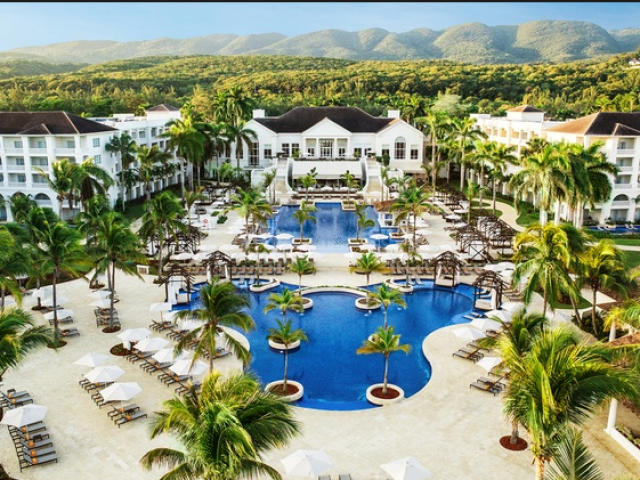 The wedding will take place on April 24, 2018 at the Iberostar Dominicana. 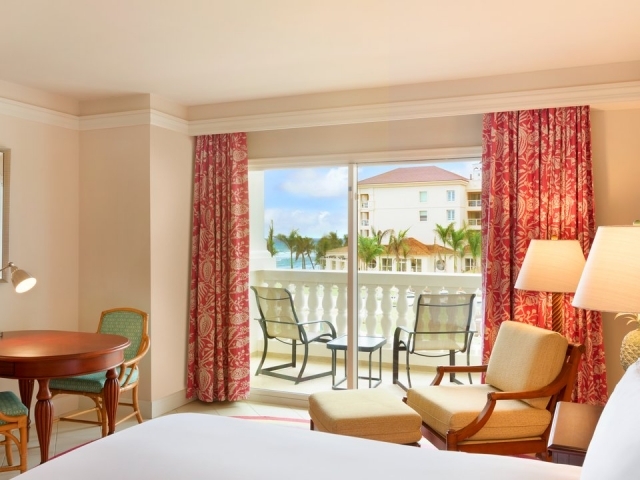 Guests have a choice of staying at the Iberostar Dominicana Resort, or the neighbor resort, Iberostar Punta Cana. Information on both resorts is shown below. Reservations can be made for travel dates between April 17 to April 27, 2018. All the information you need to make a reservation for their wedding can be found on this page. If you have any questions, please contact Cathy Jackson or call her at 888-431-8567 Ext 101. We recommend that you make your reservations as soon as possible as these hotels sell out quickly during the peak travel times. Please complete the reservation form by clicking on the link below. 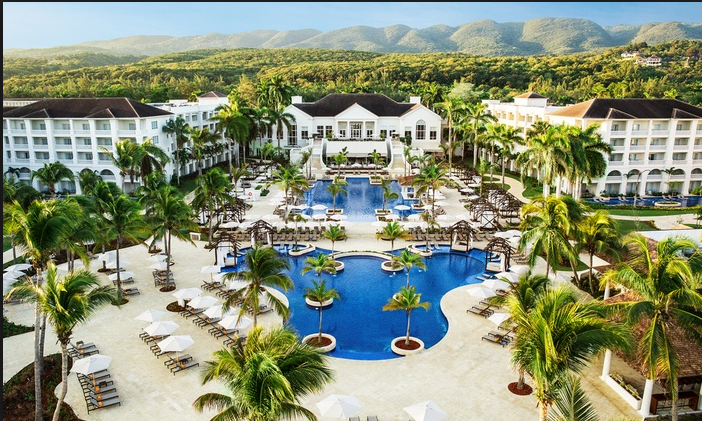 Iberostar Dominicana – The hotel has 490 rooms, three swimming pools, one theater, star friends club, six a la carte restaurants, nine bars and one of them is a health bar, two main buffets with show cooking, one ice cream shop, 3 snacks bars, 2 supermarkets, cigar shop and logo shop, one internet-cafe, Spa, fitness center, beauty salon and hairdresser, water sports center, one casino, one medical center, one discotheque and three tennis courts. Gambling† – Spend an entertaining evening among various games like blackjack, poker, roulette and slot machines (bar is included). Quisqueya Lobby Bar, lobby bar. Higey Buffet Restaurant, This endless free buffet highlights a variety of international dishes for breakfast, lunch, and dinner. La Hispaniola Buffet Restaurant, Unparalleled buffet serving breakfast, lunch and dinner. Asian La Pagoda Restaurant(*), Indulge in the alluring, seductive Asian flavors at this amazing restaurant. With delicate Asian decor, this air conditioned restaurant highlights a wide variety of sushi, Thai dishes, and classic Chinese fare. Semi-formal dress required: men are kindly asked to wear long pants. La Cana Buffet Restaurant, This restaurant is ideal for trying excellent native cuisine straight from the sea. Take in marvelous ocean views while winding down with a coffee. Serving breakfast, lunch and dinner. Reservations required for dinner. La Cana Steak House Restaurant(*), Meat lovers will be in paradise at La Cana Steak House. Its informal, American-style beachside setting, makes La Cana Steak House a great choice for tasting different specialties. La Marimba Seafood Restaurant(*), La Marimba is an incredible dining option for savoring a large selection of fish and seafood dishes straight from the sea in addition to international cuisine. La Sibila Restaurant(*), For more refined palates, La Sibila Restaurant offers a distinguished a la carte gourmet menu including delicious appetizers and entrees accompanied by the most exquisite desserts. Open for dinner. Semi-formal dress required: men are kindly ask to wear long pants. Maria Bonita Mexican Restaurant(*), If unbelievable Mexican food is what you are craving, Maria Bonita is the place. Try its excellent appetizers, salads, entrees, and desserts in an exciting Caribbean atmosphere. Semi-formal dress required: men are kindly asked to wear long pants. Rock Star Cafe Restaurant And Sports Bar, Whether dining in or meeting friends for a drink, Rock Star Cafe offers a classic American-style atmosphere including televised sporting events. Serving dinner. Guests can enjoy drinks at the bar until 3:00am. • 1 – 3 nights – 1 guaranteed reservation. 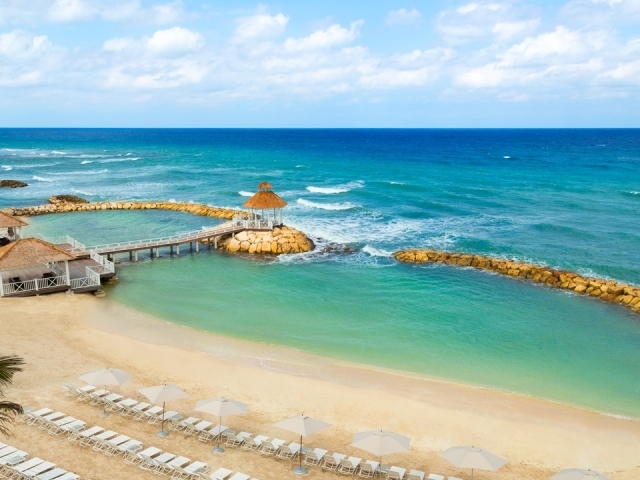 • 4 – 6 nights – 2 guaranteed reservations. 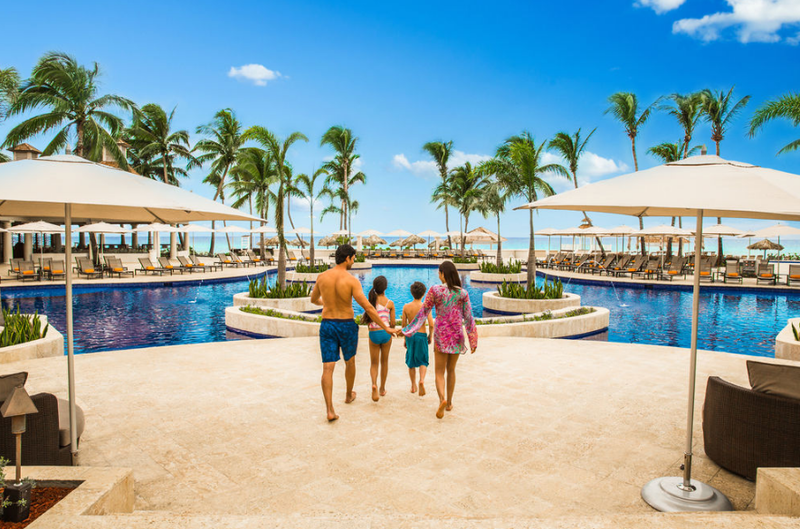 • 7 – 13 nights – 3 guaranteed reservations. 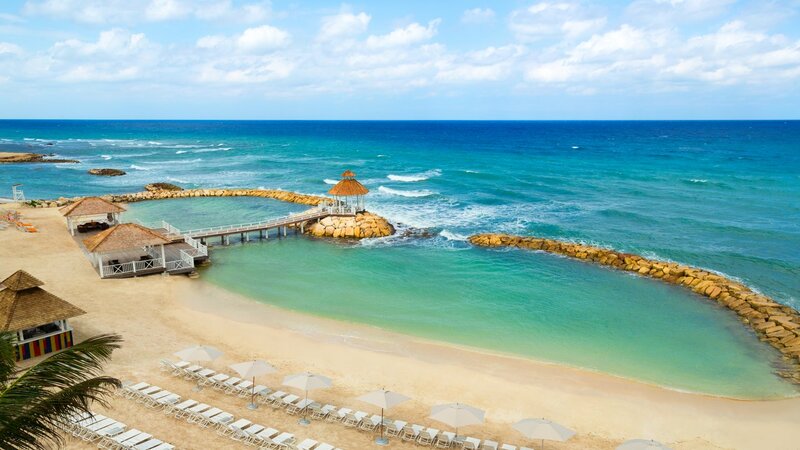 • 14 nights – 4 guaranteed reservations. • e.g. 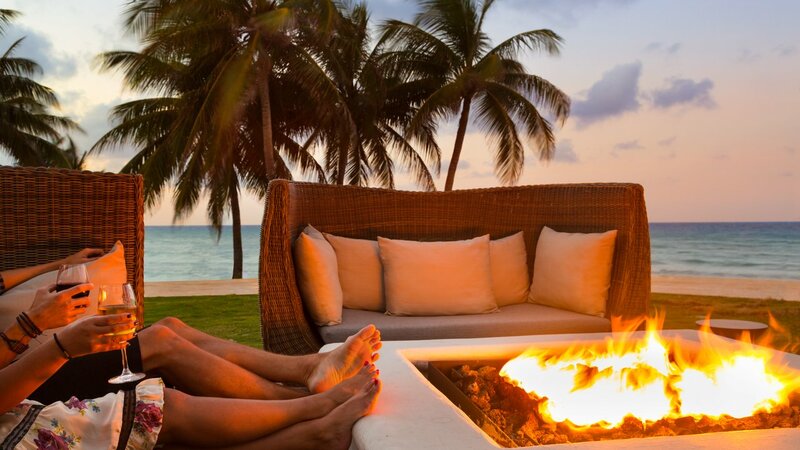 Gourmet La Couple IB Bavaro 18 years, Gourmet Restaurant El Colonial in IB Hacienda Dominicus 1 year. Standard, Private balcony with garden view, AC, ceiling fan, mini bar stocked every other day with beer, soft drinks and bottled water. Flat screen LCD TV, digital safe, alarm clock w/radio, coffee maker, iron and ironing board. Bathroom with vanity, bathtub/shower combo and hair dryer. Total area is 400 square feet. Free access to Spa Sensations wet area. Bedding: 1 King bed or 2 double beds. Junior Suite, Private balcony with pool or garden view, AC, ceiling fan, mini bar stocked every other day with beer, soft drinks and bottled water. Flat screen LCD TV, digital safe, alarm clock w/radio, coffee maker, iron and ironing board. Spacious bathroom with vanity, bathtub/shower combo and hair dryer. Total area is 485 square feet. Garden or pool view, Free access to Spa Sensations wet area, Bathrobes and slippers. Bedding: 1 King bed or 2 double beds. Junior Suite Superior, Located on the second line of the beach, private check-in, welcome gift in room, beach towels in room, bath robes and slippers, turndown service with aromatherapy, private balcony with highly obstructed ocean view, AC, ceiling fan, mini bar stocked every other day with beer, soft drinks and bottled water. Flat screen LCD TV, digital safe, alarm clock w/radio, coffee maker, iron and ironing board. Spacious bathroom with vanity, bathtub/shower combo and hair dryer. Total area is 485 square feet. Free access to Spa Sensations wet area, Bathrobes and slippers. Bedding: 1 King bed or 2 double beds. 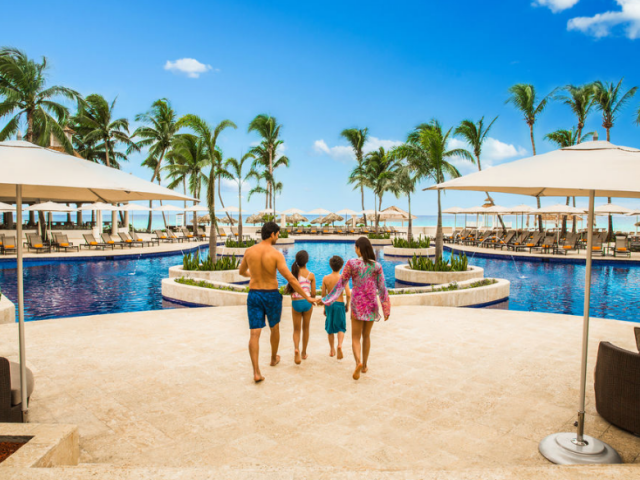 Iberostar Punta Cana – This is an all-inclusive, family-hotel directly on the beautiful, sandy beach of Bavaro. 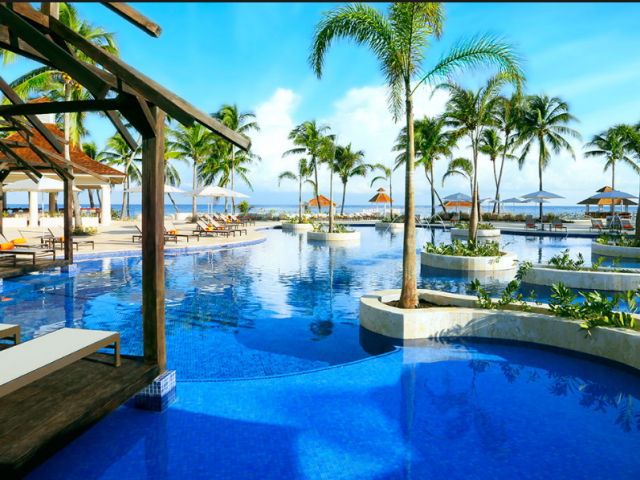 The hotel lies in the midst of a spaciously-designed tropical garden and consists of 2 4-story buildings, 1 with 347 rooms and the other with 80 rooms. We have different a la carte restaurants: gourmet, Asian, Mexican, Steak House, Seafood and American Sports Restaurant. Motorized Water Sports† For an additional fee take diving lessons at a CDC PADI GOLD PALM RESORT diving center, run by DRESSEL DIVERS INTERNATIONAL. This center organizes numerous boat trips and scuba diving and snorkeling excursions, as well as diving lessons. 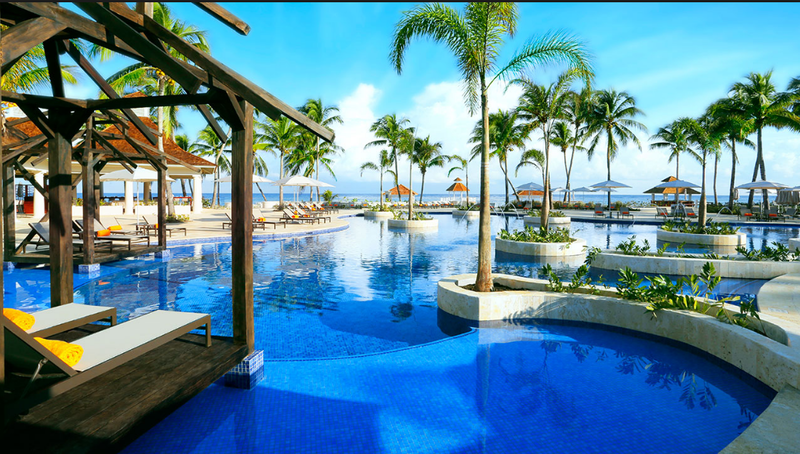 Non-Motorized Water Sports – Kayaking, windsurfing, beach volleyball, catamarans, aqua gym, the scuba clinic and snorkeling. Tennis court, there are three lit tennis courts on site. Higuey Restaurant Buffet, Serves breakfast, lunch and dinner buffet style, where you’ll find a variety of dishes awaiting you. Nighttime snacks starting at 11:00pm. La Cana Steak House Restaurant, Right beside the beach, guests can enjoy the best a la carte American style. La Hispaniola Restaurant Buffet, This buffet serves a delicious breakfast, lunch and a variety of dinners. La Sibila Restaurant, Selected appetizers and main dishes accompanied by delicious desserts await the guest at the Sibila, a gourmet restaurant. Advance booking is required. Gentlemen must wear long pants at this air-conditioned restaurant. Maria Bonita Mexican Restaurant, This a la carte restaurant prepares the best Mexican dishes in its cuisine. Gentlemen must wear long pants at this air-conditioned restaurant. Marinero La Marimba Restaurant(*), A large selection of appetizers and fresh fish await the customer at this a la carte restaurant. Rock Star Cafe Restaurant Sports Bar, This restaurant has a surprisingly typical American environment where clients can enjoy a drink while watching a televised sporting event. The bar is open from 6:30pm to 3:00am. Dinner is served between 6:30pm and 9:00pm. The Pagoda Asian Restaurant(*), Asian food lovers will find their favorite dishes in this air-conditioned a la carte restaurant with the best Chinese, Thai and Japanese recipes. Gentlemen must wear long pants. For dinner at the specialty restaurants it is necessary to make a reservation with the guest services desk. The resort will only guarantee a certain number of dinners based on the guests length of stay. Standard, Room with 2 double beds or 1 king bed, private balcony with garden view, AC, ceiling fan, mini bar stocked every other day with beer, soft drinks and bottled water. Flat screen LCD TV, digital safe, alarm clock w/radio, coffee maker, iron and ironing board. Bathroom with vanity, bathtub/shower combo and hair dryer. Total area is 400 square feet. Free access to Spa Sensations wet area View: Garden or Ocean or Partial Ocean or Pool. Ocean View Standard, Room with 2 double beds or 1 king bed, private balcony with ocean view, AC, ceiling fan, mini bar stocked every other day with beer, soft drinks and bottled water. Flat screen LCD TV, digital safe, alarm clock w/radio, coffee maker, iron and ironing board. Bathroom with vanity, bathtub/shower combo and hair dryer. Total area is 400 square feet. Ocean view, Free access to Spa Sensations wet area. Romantic Junior Suite, Junior Suite with 1 king bed, private balcony with garden view, AC, ceiling fan, mini bar stocked every other day with beer, soft drinks and bottled water. Flat screen LCD TV, digital safe, alarm clock w/radio, coffee maker, iron and ironing board. Spacious bathroom with vanity, bathtub/shower combo and hair dryer. Total area is 488 square feet. 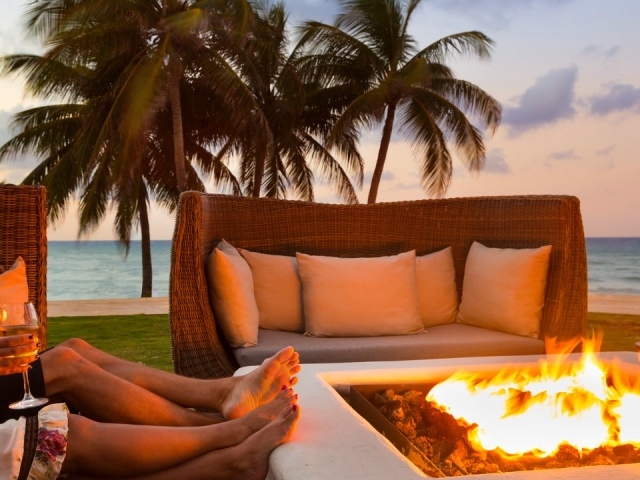 Garden view, Free access to Spa Sensations wet area, Welcome amenity, Flowers and sparkling wine in-suite, Bathrobe and slippers, Daily turn down service with aromatherapy and one romantic turn down service per stay 20% discount for one romantic dinner on the beach. Please read the payment schedule below and note the payment dates. Payments can be submitted using our Payment Form. Please include your confirmation number whenever you make a payment so it gets credited to your reservation, and select Cathy Jackson as your agent. 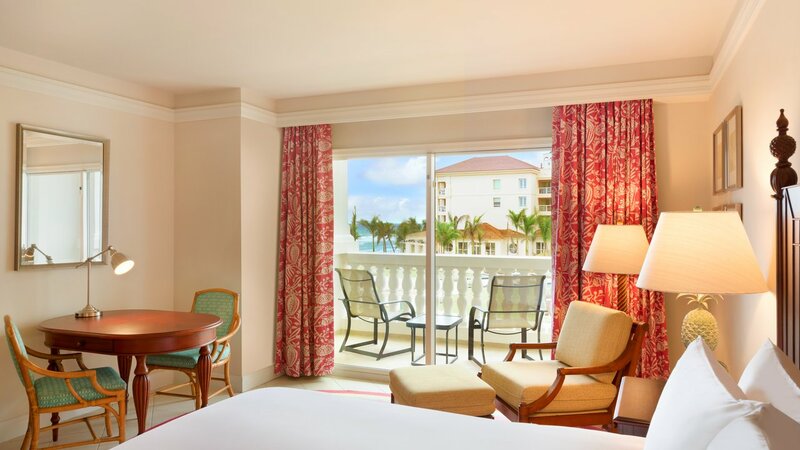 A completed reservation form must be submitted to Sunsational Vacations for each room reservation. See Reservation Form below. Please do not submit a deposit until you have a confirmation number and have reviewed your reservation for accuracy. A valid passport with 6 months remaining and in good condition is required for ALL passengers. Click on the Reservation Form link below to start the reservation process. Please complete ALL fields on the form and click on “Submit” at the bottom of the form. A quote will be sent to you once we receive your reservation request. You will receive an invoice showing your confirmation number and the required deposit amount. All rates and availability are subject to change until confirmed with a deposit. Please book early to guarantee your reservation. Any additional payments can be easily made by submitting your payment information through our online Payment Form. A deposit of $250 per person is required to confirm your reservation. This amount may change if airfare is included. Final payment is due by February 20, 2018. Reservations cancelled before February 6, 2018: No penalty. From February 7, 2018 to February 23, 2018: 1 night penalty. From February 24, 2018 to March 9, 2018: 2 nights’ penalty. From March 10, 2018 to April 2, 2018: Non-Refundable. Sunsational Vacations strongly recommends trip protection to protect your vacation investment. Rates are per adult, as follows. Please check with us regarding children’s rates. Please make your selection on the reservation form. By purchasing the All-In-One Travel Protection plan, travelers can relax and have confidence in their vacation investment. If needed, travelers can cancel their trip for any reason. Simply contact us in writing at at least one day prior to departure to cancel and receive a refund, minus the cost of the All-In-One Travel Protection. Other benefits include the ultimate in “no fees” for vacation revisions, hurricane protection, and during travel benefits such as 24-hour emergency assistance, baggage protection and more.